You will earn 1,305.70 Reward Points. Earn 1 reward point for every 1 dollar spent. This product definitely helps reduce amount of labor time to cook a 1/4 pound hamburger patty by 20%. It has versatile grate system that can be adjusted in height to give maximum control. 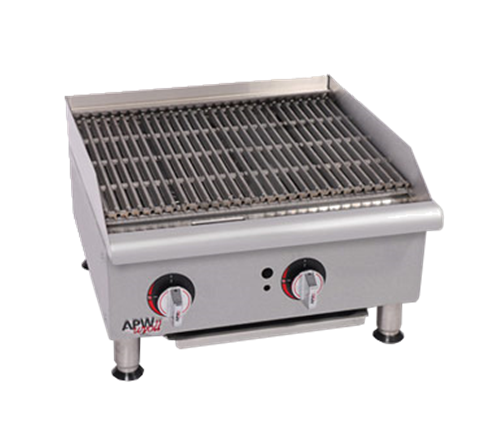 The special high temperature stainless steel radiant provides even heat across the cooking area. It has openings in the front that allow the pilot light to be easily lit and adjusted without removing the front panel. Its bull-nose front extension protects employees from burns. Heavy-duty 4” (10.2cm) heat-resistant, adjustable legs.